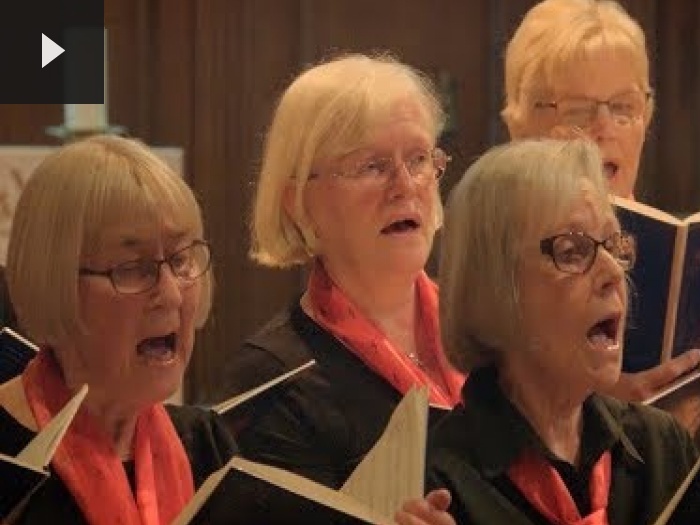 Audlem Voices is a mixed choir that was started by Jenny Collis-Smith in January 2008 and now has a diverse range of singers with around 40 members. Many people love to sing, but don't read music. That shouldn't exclude you from joining our choir. Have you ever wanted to be part of some kind of entertainment but were too embarrassed to be on a stage by yourself? Well a choir might be just the thing for you. It's all about expressing yourself. This guide will help you get started singing in a choir. A choir is an ensemble of singers, not a group of singers competing with each other, that's The X Factor! The word 'ensemble' comes from the French meaning 'together' and that's what the singers in our choir do, they sing together! It doesn't matter what kind of music you like, since vocal techniques apply to all styles of singing. In fact, the more you learn about singing and using your voice as an instrument, the better you will be at singing in tune and hitting the right notes. We do a wide variety of repertoire in our concerts -- that's part of our appeal — from classical music to songs by artists like Queen and ABBA. Our musical diversity really appeals to a large audience. So if you are interested in joining our choir please do come along to our rehearsals on Tuesday evenings from 7.30pm to 9.30pm in St James Church in the centre of Audlem, convivially positioned just opposite The Lord Combermere! In the winter months we rehearse in the warmth of The Methodist Chapel. You will find we are a fun loving group who will make you very welcome.